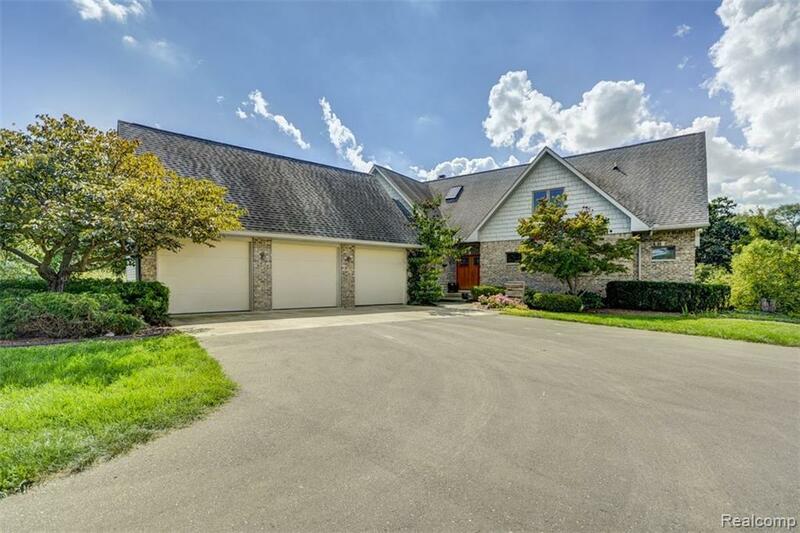 Located only a few minutes from downtown Milford and three Kensington Rec horse trail entrances, this lovely Equestrian Estate features a 3,543 sq ft brick home with walkout basement, a newer 36x60 Wick barn accessory building waiting for interior finishes, 7 acres, pastures, run-in shed and a large pond. Built in 2002, this 4-bedroom home features a 1st-floor master suite with large walk-in closet and well-appointed master bath. Entertain friends and family in the 2-story great room with stone fireplace or the wide open kitchen with dining area and living room. The kitchen features a Thermador 5-burner natural gas range, double ovens, and Corian countertop with seating. 3 bedrooms upstairs along with a large play area/loft space. Two unfinished areas on the second level with potential for a second master. Also available is a 2,464 sq ft unfinished walkout basement. Oversized 3-car garage, mudroom and media room are just a few of the extras! Click virtual tour link to watch the video!